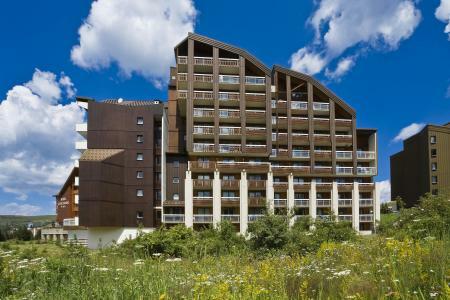 For successful summer holidays in the mountains, book your accommodation to Alpe d'Huez in Northern Alps massive, Isère. This mountain resort will offer you exceptionnal areas and surprising landscapes. Your summer accommodation to Alpe d'Huez will be for you a moment of wellness in the heart of a beautiful nature and you will spend holidays in wide open spaces. Our moutain offers will make you live warm emotions with all your family. We propose you quality holidays accommodation in all French massives, in the heart of mountains. 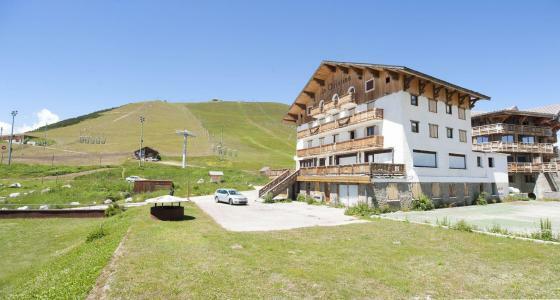 We have many residences to rent for your summer to Alpe d'Huez. Let yourself be carried by a feeling of happiness, enjoy the summer holidays in the mountains full of sun and discoveries ! 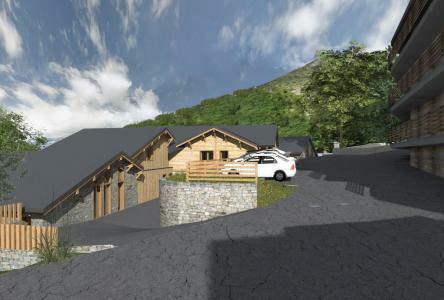 "Les Sapins" is a beautiful chalet of 150 m² with a great location in the resort entrance of L'Alpe d'Huez. At your disposal : A sauna, a jacuzzi, a TV, 2 car parks, a balcony and a marvellous view on the mountains. 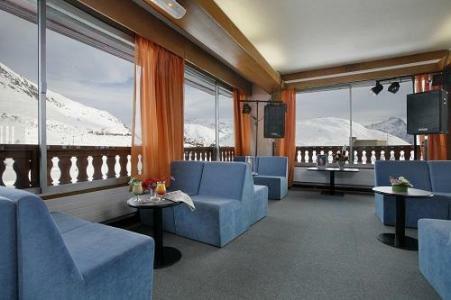 The Hotel Eliova Le Chaix**, in the Alpe d'Huez village, is well situated with its south facing, at 100m from the main lift. 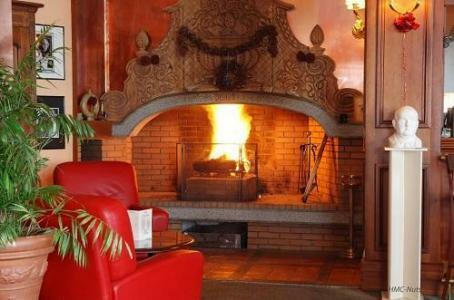 The favour place of the Hotel Eliova Le Chaix** and its warmy welcome make you stay unforgettable. At the last floor, the restaurant, the bar a,d the living room offer you a panoramic wonderful view on the sunny mountains. 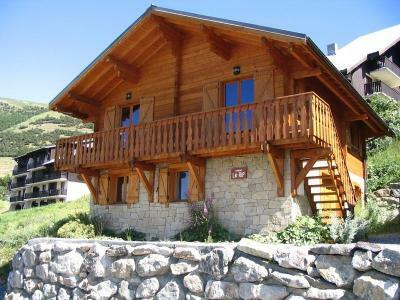 Chalet des Neiges Daria-I Nor***** is in the heart of Alpe d’Huez resort. This amazing 5 star tourist residence allows you to relax in a heated indoor swimming pool and to benefit from the spa, the hammam and the fitness room. The 48 apartments with careful decoration are divided into T2 to T5 duplex from 35 to 125m². You are 10 minutes walk from Alpe d’Huez centre where you will find the main shops and services. THIS SUMMER: BOOK 2 CONSECUTIVE WEEKS, THE CHEAPEST ONE IS FREE (on public prices) - except 4 room 6 people appartment, 8 people and 10 people appartments - valid until 30/04. The Royal Ours Blanc Hotel*** is situated in the heart of the village of l'Alpe d'huez, at few steps of the pedestrian walks. 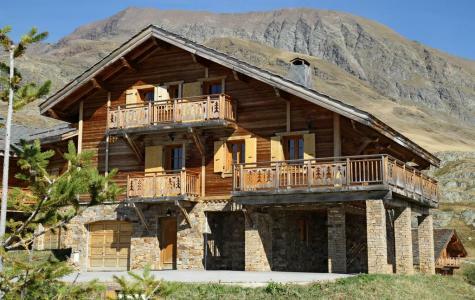 L'Alpe d'Huez is south facing, with a wonderful landscape of Les Ecrins Mountain. The Hotel Royal Ours Blanc*** is composed by 46 comfy rooms and suites. 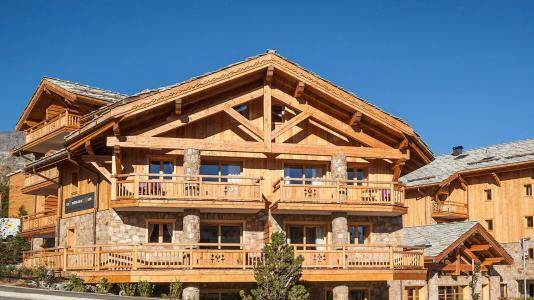 The chalet des Neiges is situated in L'Alpe d'Huez, at the airport, 600 m away from the shops, the services and the entertainments. This wonderful chalet for 20 persons, of 250 m², offers you a beautiful terrace, a chimney, a garage and a sauna. You will be next to the hiking trail departures. 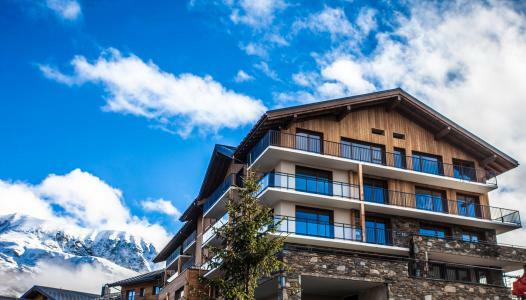 Situated in the heart of the Alpe d'Huez, the residence Le Cristal de L'Alpe benefits from an exceptional place near shops. It is situated in the angle of L'Etendard and Le Poutat, the district Games. This residence is composed of 71 apartments and is characterized by services top of the range : furnished and equipped apartments, indoor swimming pool, saunas, hammams, fitness, spa bath, centre Spas and beauty mountain. A magic place for numerous activities : hikes, on horseback or in bike as well as cultural exits and of relaxation. Of what to delight the children as the parents. Located in the Bergers, in the village of Alpe d'Huez, neighborhood just 200 m from the shops, the residence offers all the comforts that are necessary to make your stay an enjoyable one with things like a game hall with billiards, an elevator... You will benefit of a lot of services and activities proposed by the village. The Chalet de Louis with an area of 130 m² can accommodate up to 10 people. Semi-detached chalet, it has its own private entrance and is close to shops, restaurants and bars in the village of Huez. The comfort of its interior seduces with its equipped kitchen, large lounge and dining room, 4 bedrooms each with private shower and toilet and two terraces, one with jacuzzi. In the heart of the popular village of l'Alpe d'Huez, Hotel Le Christina has an unbeatable location, and is literally at just a short walk from the shops, bars and restaurants of the village centre. Hotel Le Christina has a welcoming bar and lounge area, with a pool table, table football and Satellite TV. The large southwest facing terrace is ideal to sit and enjoy a beverage whilst taking in the view towards the Oisans Valley and the Ecrins National Park beyond.